Steve Wemhoff (Steve Loran Band, Beer Can Alley) is the second and current lead singer of The Back Forty. Wemhoff is just what The Back Forty needed to move to the next level. He brings huge riffs, monster vocals, and a hell of a personality with him to every show. 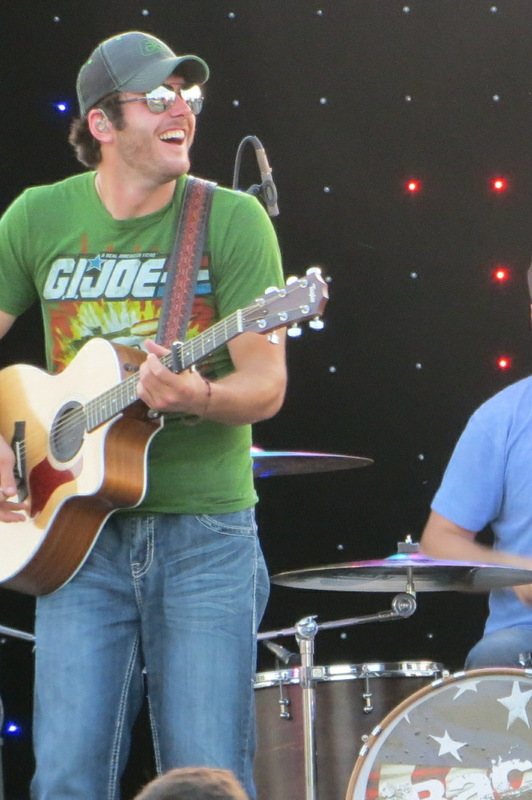 The band's own Eric Church, Steve showcases his talent across multiple instruments. Versatile, fiery, and dynamic. 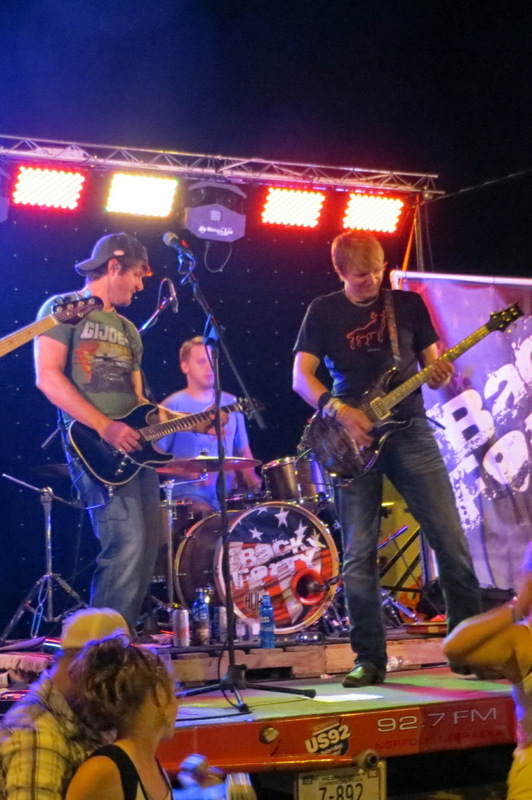 Steve Bierman (Rasty) is newest member of The Back Forty, providing bass guitar and dynamic vocal back-up for the band. Nick Wieman (Suppress the Affliction, My Last Heartache, Twisted Fate, Eventruth, Broken Image), with over 10 years of experience as a lead guitarist, has the ability to ignite any crowd, whether by ripping a solo behind his back or surfing a rowdy crowd while playing recognizable riffs. 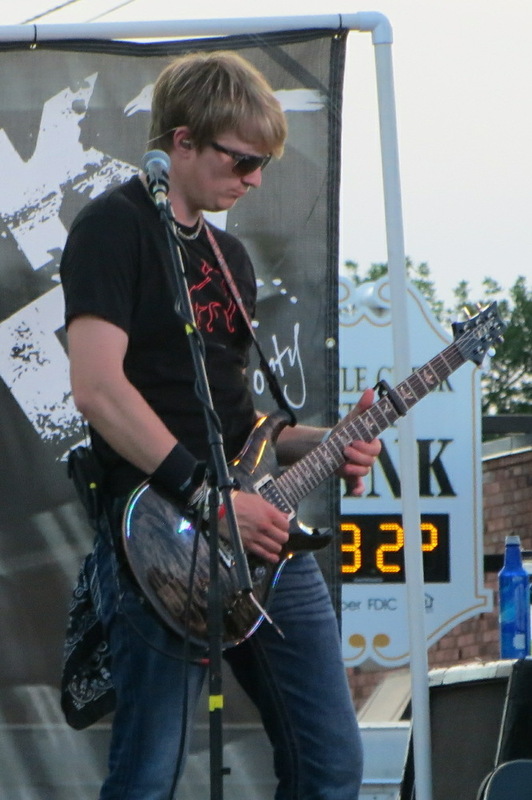 Wieman’s distinguishable style has earned him the reputation of a prodigy and one of the best guitarists around. 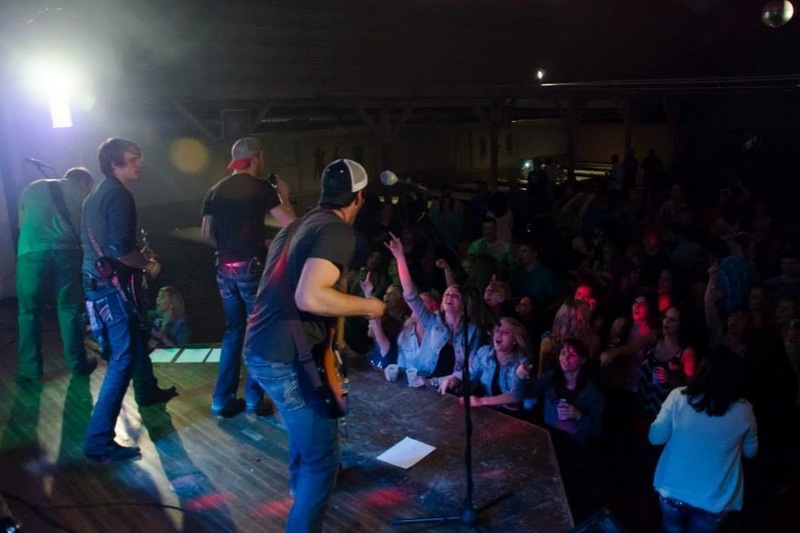 As a radio personality, Nick brings more than his guitar abilities to the stage. From Country to Hard Rock, Wieman does it all. Stewart Havranek (Public Indecency, Tragic Fall, Suffer In Faith) holds The Back Forty together with tight rhythm and percussion expertise. 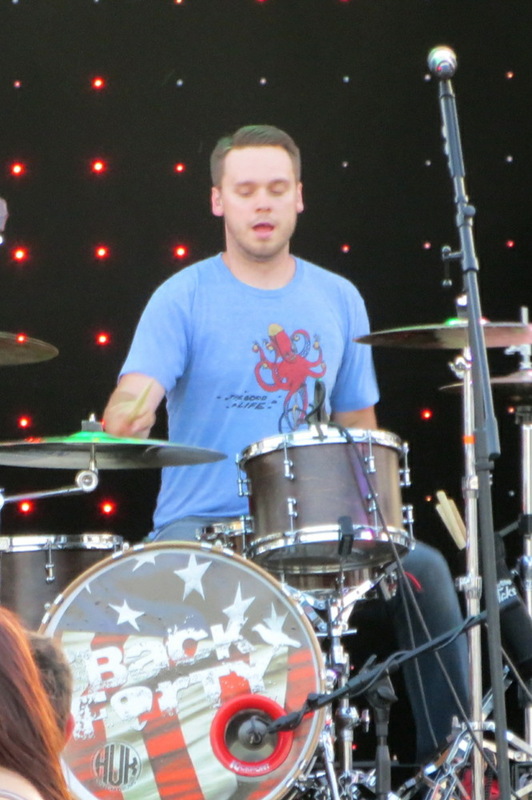 Havranek took up the trade of drum building and finished his first drum kit in May of 2013. His current setup is a birch beauty that boasts precision engineering and sound quality paramount to stock kits. A four-year scholarship winner and drumline captain, Havranek also plays in orchestras, pep bands, ensembles, and previously in bands ranging from hard rock to country, bringing that savoir-faire to every show. Hadley Brickner (SandBox SoundWorx) The pilot of The Back Forty’s more technical aspects of sound and lighting, Brickner provides a solid base for the band to create an environment that keeps fans engaged throughout the performance. Brickner brings experience gained from his time in the recording and sound engineering program at NECC, where he worked side-by-side with some of the most knowledgeable engineers Nebraska has to offer. When the band’s not rockin’, he keeps the party hoppin’ with today’s popular music and yesterday’s old favorites. With Tyler Wieseler at his side, the sound and light production is flawless.